Donald Dupree Haithcock, Sr., 81, of Morehead City, passed away peacefully with his family by his side at Vidant Medical Center, Greenville on Saturday, February 9, 2019. He will be fondly remembered as Papa Don and for his love of family and devotion to his friends. He loved the beach fishing, taking long walks, and cruising to warm destinations. He enjoyed hosting oyster roasts for his family and friends. Mr. Haithcock was born in Durham, to Eric Edison Haithcock and Thelma Strayhorn Haithcock. He is a graduate of the University of North Carolina at Chapel Hill and served his country in the United States Coast Guard for five years earning the rank of Lieutenant. Don married the love of his life Rosa Hollowell in Edenton on July 8, 1962. They spent 40 years living in Durham raising two children, Don and Jennifer. He was an active member of Trinity Avenue Presbyterian Church with the usher program, fundraising chairman and coach with Hillandale Sports Association, and actively involved with various quality of life issues for the Durham City Council involving zoning and school districts. He worked as a staff development specialist for the North Carolina Department of Motor Vehicles and is a recipient of the Order of the Long Leaf Pine, North Carolina’s highest honor given to a civilian. Rosa and Don retired to Carteret County in 2003 where they joined First Presbyterian Church of Morehead City and he became an active member of the worship committee. Don was an avid Carolina fan, football season ticket holder, and even a Duke basketball season ticket holder for the once a year UNC Duke game pre Coach K cause the tickets at Carmichael were too hard to come by. He loved the Boston Red Sox and any baseball team his grandsons played on. He travelled to ballparks across the country with his scorebook to holler and cheer for his favorite team. He even liked a little Nascar attending the first race held at Charlotte Motor Speedway. 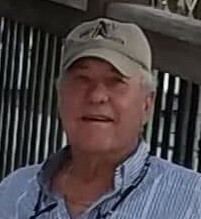 He is survived by his wife, Rosa Haithcock of Morehead City; one son, Donald D. Haithcock, Jr. of Durham; one daughter, Jennifer Toney of Hillsborough; one sister Mary Ann Baker and husband Tommy of Morehead City; three grandchildren, Dane Haithcock, Andrew Toney and Jordan Toney. in Greenville and to friends, family and neighbors who continually offered prayers and love and support. A celebration of life will be held on Saturday, February 16, 2019, at 1:00pm at First Presbyterian Church, Morehead City, with the pastor, Rev. Tim Havlicek officiating. The family will receive friends immediately following the service in Westminster Hall. In lieu of flowers donations may be made to: Stand Up To Cancer, P.O. Box 843721, Los Angeles, CA 90084-3721, or to the First Presbyterian Church, 1604 Arendell Street, Morehead City, NC 28557.